The optical zero joint has led in recent years to rapid technical developments in all fields of edge processing. Meanwhile, the zero joint has prevailed in the industry and represents the benchmark. The optical zero joint describes the seemingly invisible transition between the plate surface and the narrow edge coating. The plate and edge look like as one, so that the observer can no longer recognize a joint. Due to the zero-joint technology and the resulting nondeless optics in the workpiece, the craftsman has significant advantages. By eliminating an additional coating, no change of adhesive as well as the omission of cleaning the glue pot increases the flexibility and speed. 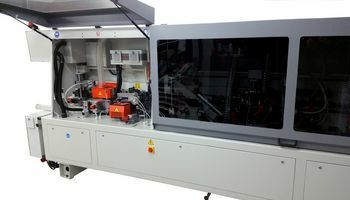 Molded parts, which are usually within the customer's field of vision (counter plates, curved fronts, molded part tables) can now be produced in zero joint quality. You always have the right glue color for the plate / edge ready. Glue pot cleaning and color change are completely eliminated. This minimizes set-up costs. We develop innovative solutions and tailor-made products on the subject of optical zero joints for industry and trade. Extensive know-how and many years of experience in the field of edge technology allow us to develop products of the highest quality and to offer them at affordable prices - with us you get 100% made in Germany. 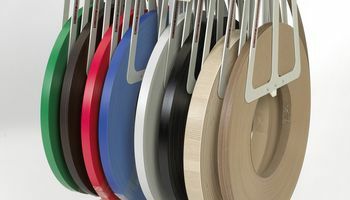 Many renowned manufacturers of edge banding machines have adapted our technology and installed it in their systems. 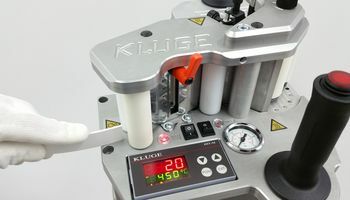 In conjunction with the angle table, the mobile edge device becomes a small stationary system with an unbeatable price / performance ratio for producing an optical zero joint. Our stationary hot air unit HIT-S is characterized by the fact that already in use as well as new edge banding machines can be upgraded with the aggregate. The HIT-M molding edgebander is used for applying and gluing any commercially available "laser edges". Kluges invention "Edge organizer" by Ostermann is a practical and mobile solution for storing edges. It can be equipped with edging rolls and ensures order and availability of up to 12 rolls directly at the edgebander.